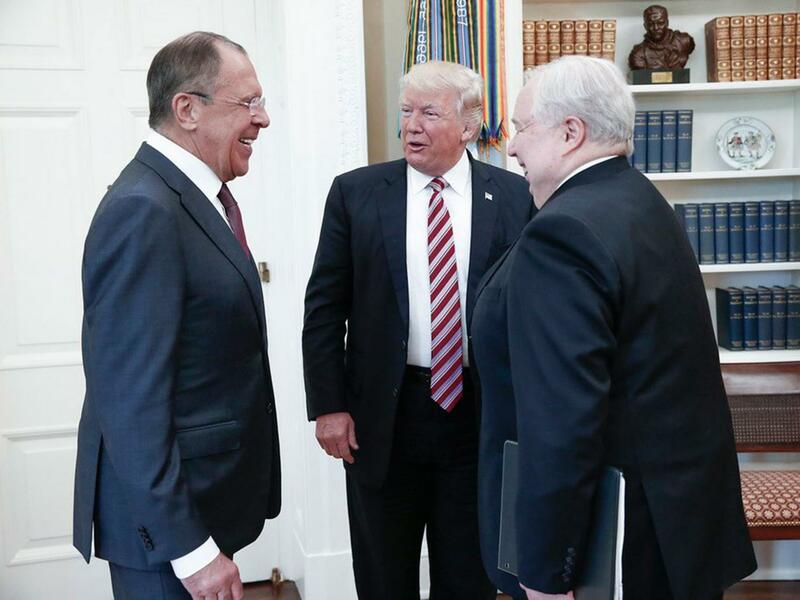 President Trump At It Again, Reveals Highly Classified Info To Visiting Russian Foreign Secretary! Don't forget we brought you an article that dealt on the need for a bit of more brain, than the ordinary for the office called president, read here. News making rounds this morning has it that President Donald Trump revealed highly classified information about Islamic State militants to Russian officials during a meeting last week, yahoo.com reports. According to the what is being said, it was the Washington Post reported who 1st reported it on Monday, prompting a strong condemnation from both Democrats and Republicans. Three White House officials who were in the May 10 meeting strongly denounced the story, saying no intelligence sources and methods were discussed but they didn't deny that classified information was disclosed. Citing current and former U.S. officials, the Post said Trump shared details about an Islamic State terror threat related to the use of laptop computers on aircraft with Russian Foreign Minister Sergei Lavrov and Russian Ambassador to the U.S. Sergey Kislyak. "I was in the room, it didn't happen," H.R. McMaster, Trump's national security adviser, told reporters outside the White House late Monday. "The president and the foreign minister reviewed a range of common threats to our two countries including threats to civil aviation," McMaster said. "At no time, at no time were intelligence sources or methods discussed and the president did not disclose any military operations that were not already publicly known.'' Read More.